The FIT4HOME X – Lite Stride 786A Treadmill boasts as a semi-commercial grade treadmill that’s offered at a budget-friendly price range. It has a comfortable and wide running deck, a powerful motor, a built-in entertainment system and a lot more. Fit4home is a reliable brand when it comes to fitness machines, so you know you’re in good hands with this one. 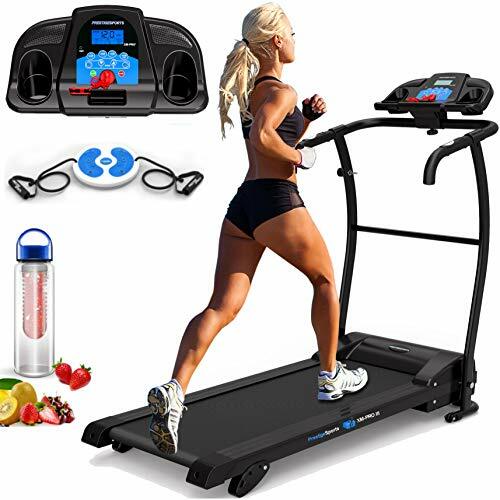 Also, with a 4-star rating on Amazon, it seems like a lot of customers were satisfied with the performance of this treadmill. If you want to know more about the FIT4HOME X – Lite Stride 786A Treadmill, you better keep reading because it might be the ideal fitness equipment to add to your home gym! 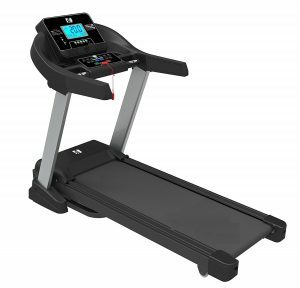 The FIT4HOME X – Lite Stride 786A Treadmill is driven by a 1.5hp continuous horsepower with 3.0hp peak horsepower, and it reaches a top speed of 20kph. It has a modern design that makes it for any home, and it has durable quality with a maximum user weight of 130kg. 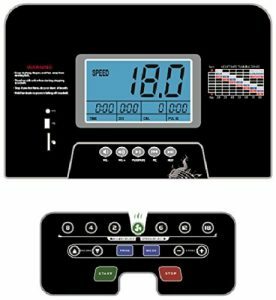 This treadmill comes with 12 auto programmes which you can select depending on your goal. But to achieve that faster, you can adjust the incline levels from 2% to 8%. Adding inclination to your workout can burn calories more quickly than on flat surfaces. With a running area size of 130cm X 48cm, the FIT4HOME X – Lite Stride 786A Treadmill is suitable for walking, jogging or fast-paced running. It also has a 3.0mm thick orthopaedic standard running belt which keeps you safe during movement, and its running deck is soft sprung which contributes to a comfortable workout. When doing any exercise, it’s important to check your heart rate to be sure that you’re making the most out of your efforts. Fortunately, this treadmill comes with built-in pulse sensors to track your pulse rate during a workout or even before you start. What I like most about the FIT4HOME X – Lite Stride 786A Treadmill is its sleek console. It displays large numbers so you can easily see information such as time, speed, distance, calories and heart rate. You won’t need to plug your headphones when working out because this treadmill has onboard speakers. You can play your favourite workout music either through the AUX input, USB port, or SD card slot. Aside from that, it also has a built-in fan to keep you cool when you feel like you need some air. With a weight of only 80 kg, this treadmill is relatively lighter than other, other durable treadmills. But to make it easier to store, it’s hydraulic-assisted, so it gents folds away. It also has built-in wheels to transport it to other parts of the house quickly. On top of that, it’s delivered to you 95% assembled, so you only have minimal work to do before starting your workout. If you’re over 6ft, the FIT4HOME X – Lite Stride 786A Treadmill may restrict your movements so you won’t be able to maximise your workout. But for those who are below 6ft, you can get an efficient workout with this particular treadmill. It’s easy to use with quick select buttons for speed and incline levels. The Sportstech F10 Treadmill is an entry-level treadmill with advanced features. It’s actually one of the few treadmills that are smartphone compatible – and this feature can be expected on high-end treadmills. With the iFitShow app, you can save your data on your smartphone or tablet and plan your next session. In this way, you will get more optimised results, and you can achieve your goal faster. This treadmill also has a 5-layered specially developed high-tech running surface with extra side treads for more safety. However, it may not be suitable for running because only a 1HP DC motor drives it. 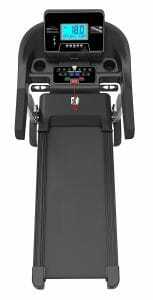 Sportstech F10 Treadmill Detailed Review? CLICK HERE. If you love freebies (well, who doesn’t? ), you’ll be excited about this one. 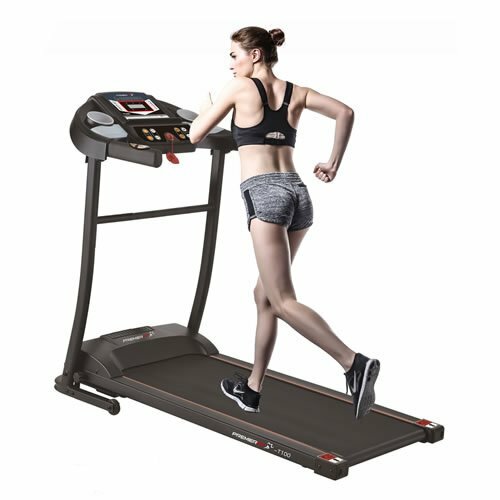 The XM Pro III Treadmill is another entry-level running machine with a 1.5CHP motor a running area size of 110cm x 40cm. It has built-speakers, drinks holder, towel rail, handlebar controls, and heart rate sensors. Aside from all those features, the best part about this treadmill is that it comes with a LOT of freebies. You’ll get an aerobic twist disc with resistance bands, fruit infusion bottle and three ebooks, all for FREE! No wonder this product has earned an almost perfect 5-star rating on Amazon. XM Pro III Treadmill Detailed Review? CLICK HERE. 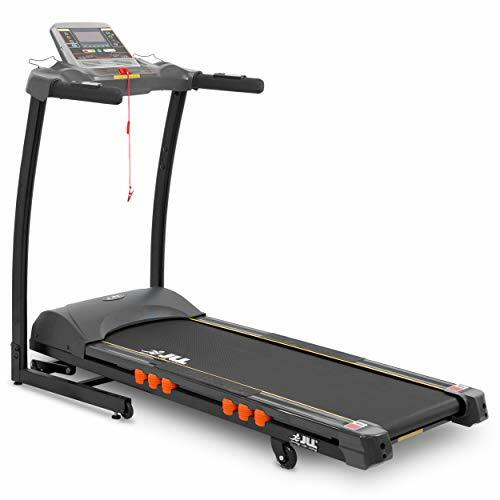 Another almost perfect rating on Amazon is the JLL S300 Treadmill, which is also a bestseller. This treadmill is driven by a 2.5CHP motor which can be suitable for beginners and advanced users. It has a 16-point cushion deck absorption system integrated on its 123cm x 41cm running deck which provides comfort on each stride. 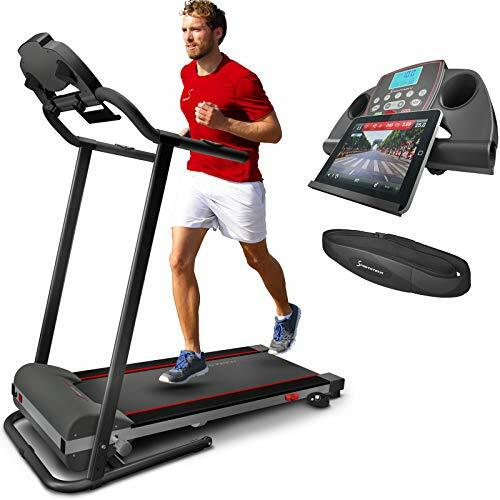 This treadmill also has a built-in entertainment system with high powered speakers and an iPod, iPhone, MP3 connectivity and USB interface. It can go at a top speed of 16km/h, and its maximum weight is 120kg, which means it can accommodate various users and can, therefore, be shared by the whole family. 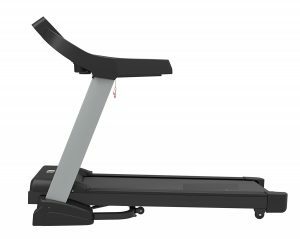 JLL S300 Treadmill Detailed Review? CLICK HERE. This entry-level treadmill is an excellent choice if you have a limited budget in mind or if you’re just starting to build a home gym. It has a fixed incline of 4% which gives a very slight slope not only to help you get an efficient workout but also to protect your joints when running. With its built-in iPad holder, you can watch films or TV programs during exercise, so you don’t get exhausted easily. Plus, it has built-in speakers to get rid of headphones that get in the way when working out. And since it’s an entry-level treadmill, it can only go up to 10 km/h, and it has 12 built-in programmes with three of them you can customise. The PremierFit T100 Treadmill is compact and foldable making it fit for small spaces. Going back to the FIT4HOME X – Lite Stride 786A Treadmill, its 1.5CHP motor can go to a top speed of 20km/h. It has 12 pre-set programmes, and it keeps you entertained with its onboard speakers. Most especially, it’s delivered to you 95% assembled, so you only have minimal work to do before you start using it!